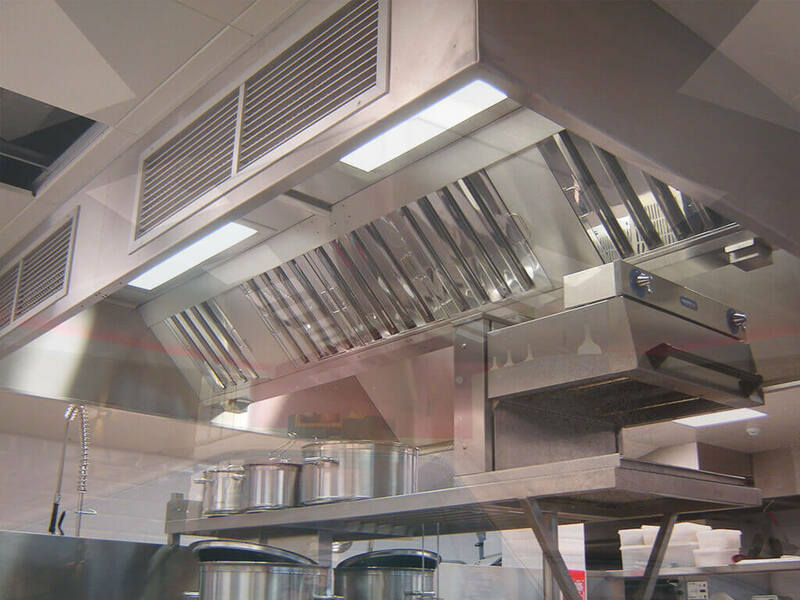 In a commercial kitchen extraction system, filters play a vital role in purifying the air by capturing particles of grease, fat and oil. The steam and fumes emitted during cooking can be saturated with such particles and to maintain good air quality in a busy kitchen environment, effective grease filters in the kitchen canopy must be used. 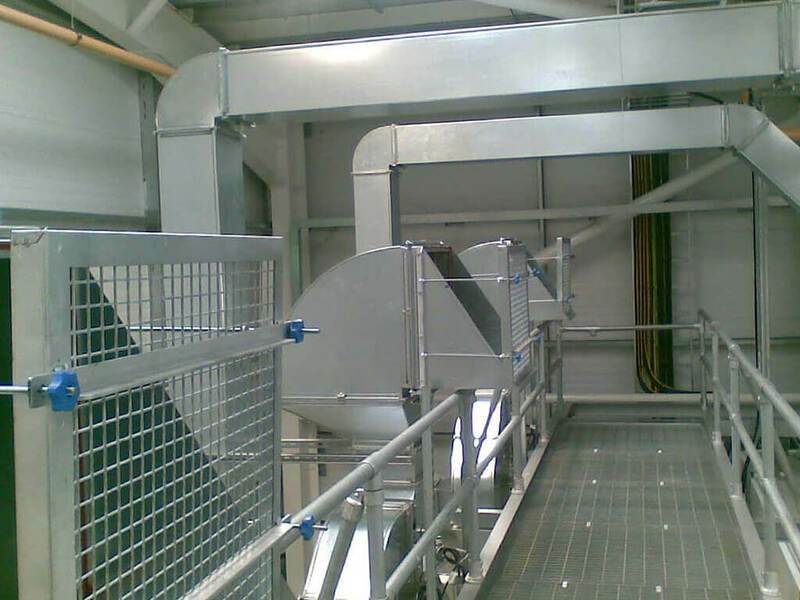 The skilled team at Saxty Engineering Ltd have a wealth of experience in creating thorough and efficient extraction systems. There are two main types of ventilation filter available which can be customised for your kitchen. Mesh grease filters are a traditional and economical form of kitchen canopy filter. These filters work best in kitchens with relatively low grease output. Mesh filters consist of several layers of fine mesh which will capture and separate particles of grease and the like from the air as it flows through the filter. These mesh grids then need to be cleaned at least weekly to remove the deposited grease. It is worth noting that mesh filters do not have any fire preventing properties that baffle filters do. They are, however, a cheaper filter alternative. 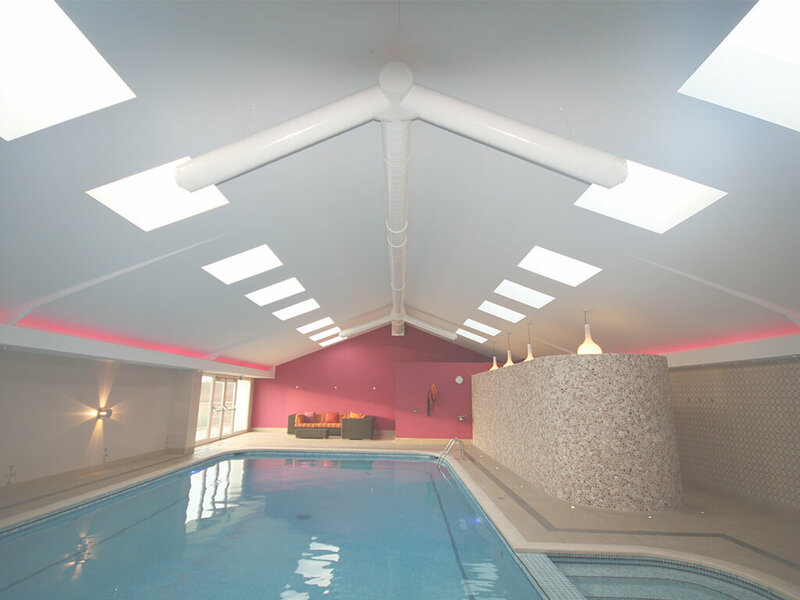 Get in touch with a member of our team today to find out more about our products and services, or to book a free survey/quote. We operate in Truro, Newquay and further afield across Cornwall and Devon.